Echo Reservoir is a large reservoir south of Echo Junction on the Weber River. 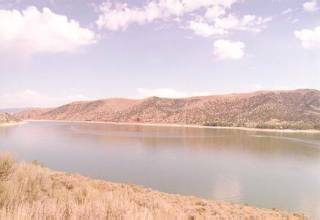 I-80 hugs its western shore	for about three miles, making it one of the most visible reservoirs in the state. Echo is downstream on the Weber River from Rockport Reservoir.